If you are confused as to why I am singing happy birthday to frozen coffee beverage, it is because Frappuccino is 20 years old! 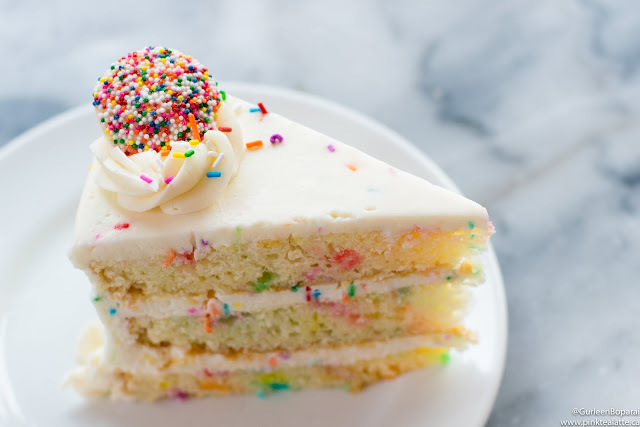 And in celebration of this fabulous birthday, Starbucks has released a special Birthday Cake Frap for only five days, March 26-30th. So I suggest you hurry on out to your nearest Starbucks and get your hands on this limited-edition drink because once it is gone, it will be gone! 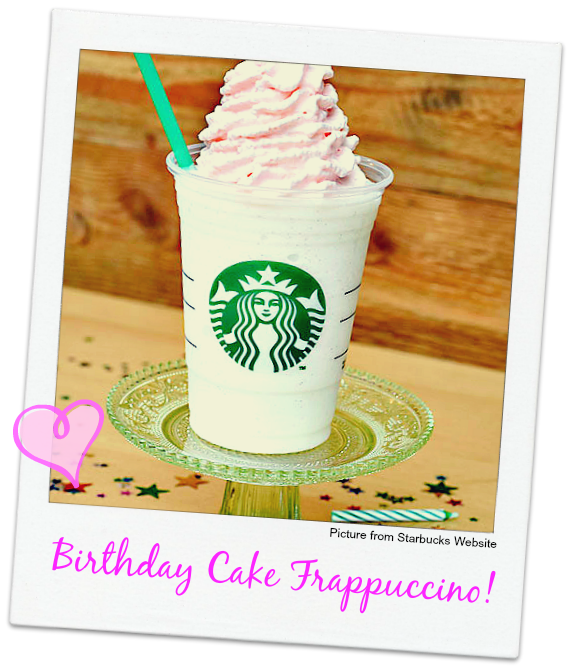 The Birthday Cake Frappuccino is vanilla bean and hazelnut flavours blended together and topped off with a raspberry-infused whipped cream! I honestly just want myself a cup of that pink soft airy whip cream hehe :) because I love my pink! Just a little history on the humble beginnings of the frappuccino. It debuted in 1995 and was only available in two flavours: Coffee and Mocha. But over the years, there have been many new flavours developed, secret menu frapuccinos and my favourite, the green tea frapuccino! And heres to me hoping that amazing raspberry infused whip cream and its cute pinkness sticks around to top all my lattes!